Bei Reisen nach Benin erhöhte Vorsicht. Benin ist ein Land in Afrika (Westafrika) mit etwa 9 Millionen Einwohnern und einer Landfläche von 112.620 km². Es liegen aus 4 verschiedenen Quellen Hinweise zu diesem Land vor. Benin grenzt an 4 Nachbarstaaten über Land für dieses Land beträgt der Reisewarnindex 3,0 (im Durchschnitt der Länderwerte). Es wurden für alle angrenzenden Nachbarländer Hinweise gefunden: Burkina Faso (3,5), Niger (3,5), Nigeria mit (3,1) und Togo mit (2,0 von 5). Siehe hierzu auch die Gefahrenkarte. 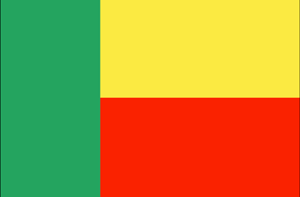 Exercise normal precautions in Benin. Some areas have increased risk. Read the entire Travel Advisory. Reconsider Travel To: The northern border region adjacent to Burkina Faso due to terrorism. Parc W due to terrorism. Exercise Increased Caution In: Urban areas due to crime. Read the Safety and Security section on the country information page. The Ministry for Foreign Affairs and Trade Promotion advises Maltese nationals against all travel to the Parc du W and the contiguous hunting zones of Meêkrou and Djona. There is a risk of terrorist attacks throughout the Parc, which shares an open border with Burkina Faso and Niger. The country can be considered a legitimate target since it contributes to the UN peacekeeping initiative in Mali. There is also the possibility that terrorist groups from Nigeria may enter the borders of the country. The Ministry also advises against all but essential travel to the area between the Interstate Highway (RNIE) 2 (Tchaourou to Malanville) and the Nigerian border, due to increasing criminality in that area. "Mosque in Porto-Novo" hochgeladen durch Judith K.